Agape Tennis Academy (ATA) offers an range of tennis programs to players of all ages and abilities in the Greater Atlanta region. We offer private and group classes seven days a week. We have services for everyone from advanced tournament players to beginner level players. 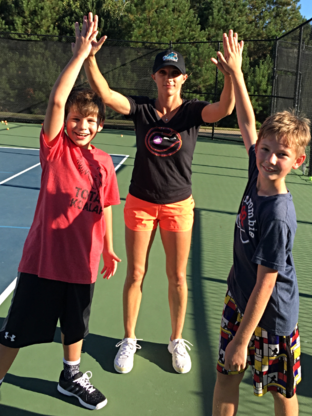 ATA’s professional team of tennis instructors has years of experience creating thriving tennis communities at private, semi-private and public facilities across Georgia. We at Agape Tennis Academy believe that, while you will not always be a player, you will always be a person. That is why our core beliefs, HEART, are the foundation of everything we do.